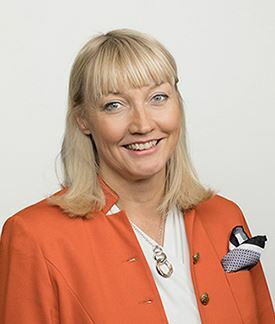 After eight years as Managing Director of the Coffee Division and member of the Paulig Group Management team Elisa Markula has decided to leave Paulig Group to take up the position as President and CEO of Tikkurila Group. During Elisa Markula’s leadership the Coffee Division has strengthened its position in all its geographical markets. The Paulig brand has developed to become one of the most valued consumer food and beverage brands in Finland, Russia and the Baltics. The division employs close to 600 persons and in 2016 the net sales of the division were 344 million euros. “I would like to take the opportunity to thank Elisa for her contribution to the success of Paulig. Especially I would like to mention her huge engagement in the sustainable development of the whole coffee value chain, which has had a huge impact on the direction of the company. I wish her the best of success in her new challenges,” says Tina Andersson, acting President and CEO of Paulig Group. "My years working for Paulig have been incredible in the light of learning, performing together and building a culture based on strong values. Most of all I will remember and miss all the colleagues. Paulig will always have a special place in my heart. And I will with great interest follow how the Coffee Division will continue to work for the bright future of coffee", Elisa Markula says. Elisa Markula’s last working day at Paulig will be May 9th 2018. The process to appoint a successor for her will be started as soon as possible.